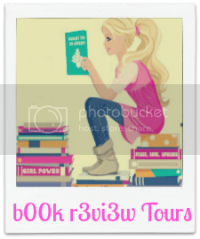 CuttingMuse: Review Tour for Finding Strength by Shevawn Michelle! 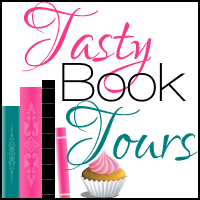 Review Tour for Finding Strength by Shevawn Michelle! My friends shouted as I rounded the corner of Amy’s house. My closest friends and their families were all gathered around the pool. There were also a couple of people that I didn’t know standing among them. I smiled at them with the biggest grin and made my way past the BBQ containing hamburgers and hot dogs being manned by Shane. Shane was Amy’s husband and a friend of mine as well; we all went to school together throughout middle and high school. Amy made a beeline for me, but it wasn’t me that she was after. My two-year-old daughter, Lindsey, was attached to my hip. When she saw Amy, her little arms reached out for her and she wiggled until Amy took her from me. Amy planted kisses on Lindsey’s cheeks while making loud smacking sounds. Lindsey’s brown curls danced around her head as she tried to dodge Amy’s onslaught of kisses. “Your eyes are like little stars, Linds,” Amy cooed to her. And they were. She had so much gold in them that you wouldn’t know—unless you were really up close—that they were a mix of green, gold, and brown. Amy walked over to me and gave me a one-armed hug. “Thanks. You guys didn’t have to do all of this for me,” I told her, even though I really appreciated it. “Girl, you only turn twenty-nine once, and it is your last one in your twenties. Next year, you will be considered old.” She laughed as I swatted at her free arm. I mingled with all of my friends that had gathered, catching up with some of them, just shooting the breeze with others. I noticed a really nice looking man over by the pool talking to Kolby, Shane’s brother. I had no idea who he was but his baby-blues were extremely piercing. He had short, brown hair, almost buzzed at the sides, a little longer on top. His arm and leg muscles were well-defined and bulged with every movement. He was wearing a pair of swim trunks, so I had a great view that left nothing about his abs to the imagination. Mystery Man had a nice six-pack going on, but it was the tribal tattoo on his rib cage that caught my attention. I would love to see that up close. When Shane announced that it was time to eat, I knew I had to stop my ogling. Everyone filed over to the food. You would have thought none of them had eaten all week as fast as they moved. I fixed Lindsey and myself a plate and found an open spot at the end of the table Shane had set up in the yard. Mystery Man took a seat across from me. I wasn’t sure if it was just me, but I thought it just got hotter out there. “Hi, I’m Jacob Caulder,” he said as he extended his hand toward me. “Hi, Anna Mitchell. This is my daughter, Lindsey,” I said, placing my hand in his for a friendly shake. Jacob squeezed my hand ever-so-slightly, or maybe I imagined it, before releasing it. “Happy birthday,” he told me. “Thank you,” I replied with a smile. Jacob and I talked while we ate. Just some friendly conversation. I learned he was single, and I wondered how he hadn’t been snatched up yet. Someone that good looking you wouldn’t think would be single. Must have been my lucky day. Jacob worked as a correctional officer at one of Alabama’s maximum security prisons in Birmingham. That intrigued me enough to ask him about it. “Isn’t that a pretty dangerous job?” I inquired. “It can be. There are a lot of fights that break out. People carrying shanks and other weapons. Mostly, they tend to use them on each other instead of the guards. There are times, though, it gets out of hand and a guard gets injured,” he explained. We finished eating and carried on our light conversation about things we liked and disliked. I was finding that we had a lot in common and conversation came very easy with Jacob. I think this has been one of the best birthdays I have ever had. So far. The shade trees created a nice umbrella, blocking the sun’s rays. Only a few high clouds were floating in the otherwise blue sky. A gentle breeze helped take away the sting from the heat of the sun. Right then, we all enjoy the good food, good company, and small talk between friends. After dinner, everyone mingled around or swam. A couple of the guys were playing a game of horseshoes. The sound of metal hitting metal, followed by hooting and hollering, echoed throughout the yard. “AA, come join us in the pool,” Shane yelled at me. He called Amy and me, AA, for Amy and Anna. There was another reason behind his nickname, and I reminded him that we are not quitters, all of the time. I said all of the time because both Amy and I did quit once. Back in college, the guys were playing beer pong and Amy and I had joined in. Needless to say, the toilet had become our best friend halfway through the game. Yes, we quit, and neither of us have touched another drink since. I took Lindsey inside, changed her into her swimsuit, and put her floaties on her arms. We stayed in the shallow end of the pool. Lindsey loved the water, and she was having a good time splashing water in Shane’s face. Shane had always been great with kids, but he and Amy had a special bond with Lindsey. They had been there for Lindsey and me. Lindsey’s dad and I couldn’t make our relationship work. He still saw her when he could, but his job kept him traveling, so it was hard for him to find the time. Shane had pretty much filled that role in Lindsey’s life. When the sun was almost set and the light had faded, we headed into the house to just hang out and watch a movie. Lindsey and I were staying the night so I didn’t have to make the drive home in the dark. I took Lindsey into our room and got her out of her wet swimsuit and into her pajamas. Her little eyes were already half-closed, wore out from her swimming. I rocked her in my arms until she fell asleep before I laid her down on the bed, tucked her in, and kissed her cheek. “I love you, Lindsey bug.” I left the lamp by the door on and the door opened as I headed back into the living room with the others for our movie. When the movie was over, I stood and stretched my arms. “I’m going to head to bed. Lindsey will be up early, and I will need all the energy I can muster to keep up with her. Thank you for a great birthday, everyone.” I looked around the room at all of my friends, old and new, and thought about how lucky I was to have such amazing people in my life. After saying goodnight, I made my way to the bedroom. When I entered the room, my heart fell to my feet. I rushed over to the bed that was empty. “Lindsey?” I called, frantically searching everywhere I could. Under the bed, inside the closet, the little cubbies under the stand the TV was sitting on. All empty. No Lindsey. “Lindsey,” I screamed. “She’s gone. She’s not in the bed. Lindsey is gone,” I yelled, throwing blankets, pulling clothes out of the drawers, moving anything I could that may have contained a hiding spot for Lindsey. When Shane entered the room, he looked around at the mess. I was sure I looked crazy, but I didn’t care. My baby was gone. Tears were streaming down my face, my chest heaving with sobs. Panic had overtaken me, and I was running on fear and pure adrenaline. “Lindsey isn’t in here. We have to find her,” Amy told Shane. Amy wrapped her arm around my shoulder as she led me into one of the other bedrooms. We checked every place a two-year-old could hide, but still no Lindsey. “Call 9-1-1,” I heard someone yell from somewhere else in the house. Frantically, I made my way into the living room. I saw Heather, Jeff, Gabe, and Kolby rushing outside through the sliding glass door. I followed behind them, my body on auto-pilot. What I saw stopped me dead in my tracks. Shane was pulling my lifeless daughter from the swimming pool. Her arms and legs were limp and dangling with every movement Shane made. As I tried to run to her, two strong arms wrapped around me. I try to get out of their hold, but I couldn’t. I continue to scream for my daughter until the paramedics arrived and took over. When I heard ‘CPR’ and ‘no pulse’, my legs went out from under me. The two arms holding me kept me from crumbling to the ground. I leaned into the solid chest behind me and broke. Screaming for my little girl as she was loaded on a gurney and placed in the back of the ambulance, I watched as Shane climbed into the back with her. “I’ll take you to the hospital,” Jacob said. It was him who held me while I watched them work on my daughter. I didn’t remember the car ride to the hospital or even making my way into the emergency room, but I would never forget the words spoken to me just moments after I arrived. Falling to the floor of the emergency room waiting area, I could do nothing more than cry. My heart was gone. My soul turned black with pain and left me with nothing but a huge gaping hole. I didn’t know why it happened. I didn’t understand any of it. Nothing made sense anymore. She was only two. Her life was just beginning, and it was over. A candle whose flame had burned out, never to be re-lit. My screams and sobs bounced off of the walls, the sounds of a mother’s worse nightmare come true touching every person around me. I felt arms come around my shoulders, warm breath on my neck. “Come on, let’s get you up off of the floor,” Jacob said, lifting me effortlessly in his strong arms. I moved willingly, not having the strength to fight him. I couldn’t speak. I felt nothing but a pain so deep and strong that it burned me like a raging fire, leaving no part of me untouched. A bottomless abyss of agony. Time was at a standstill. I was lost in a dark place where there was no beginning and no ending. The next few days passed by in a blur. Amy and Shane had been my saving grace. When I couldn’t seem to function, when even breathing became too hard, they stepped in and took control. I knew they were hurting too; they loved Lindsey just as much as I did. They had lost her as well, yet they did what needs to be done. Amy took care of the funeral arrangements. I couldn’t process losing her, and there was no way I was at all capable of thinking about putting her in the dark, cold ground. Even though we hadn’t said much to each other, our silence was comforting in a way. Just knowing they were there is enough. The viewing for my Lindsey was held two days later. There were beautiful flowers surrounding her tiny casket. So many people come to see my baby girl. Lindsey looked so small lying there, her hair framing her little face. No smile, no star-like eyes to be seen, no life left in her body. The paleness of her face portrayed her as a porcelain doll, beautiful, yet unmoving. I felt lost and abandoned standing over her. Heartbroken and angry, my grief knew no boundaries. Tears were my closest friend. The darkness inside of me left me feeling numb. I went through the motions of daily life, but feel nothing aside from pain and heartache. Those two emotions seemed to have paired up with the numbness leaving me helpless to its power. Lindsey was my life. Everything I did revolved around her. Providing for her, taking care of her, and just loving her. Part of my life had been snuffed out, and I was not sure how to begin to recover. 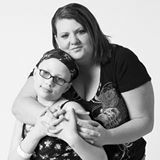 Does anyone ever recover from losing their child? I was sitting in the front row on a green, felt-covered chair. The gray clouds reflected my mood. There were no rays of sunshine to brighten the day. Just as my ray of sunshine was lying in the cherry wood box in front of me. It was so small the spray of yellow roses covered the entire top of the casket. Tears filled my eyes, blurring the sight in front of me. One by one, my pain slid down my cheeks. I felt Amy’s hand slide into mine, and I squeezed it tight, the only lifeline I had at that moment. Ricky, Lindsey’s dad, sat on my other side. His pain visible on his face. I didn’t hear what the minister said. I could only stare out into the nothingness my life was then surrounded by. When the service was over, I accepted the condolences of those who had come to say goodbye to my baby. It was like I was a robot and someone was telling my body what to do. I didn’t remember who came by, who said what, or if I even thanked them. I looked up into Amy’s tear-filled eyes. Taking in one deep breath, I stood and walked the few feet to where Lindsey laid. I placed a kiss onto my finger and pressed it against the casket. “I love you, Lindsey. Mommy loves you so much,” I choked out. Ricky walked up to stand beside me. He whispered to Linsdey that he loved her. He placed his arm around my shoulder, squeezing lightly, then he turned and walked away. It had all been too much for him. Knowing he didn’t take the time he should have with his daughter had left him with resounding guilt. Walking away made it real. I was leaving my baby girl alone there. My heart, what was left of it, crumbled into irreparable pieces. Just as we reached the car, the sun peeked out through the clouds, shining a lone ray of light onto Lindsey’s final resting place. I knew then that was Lindsey’s way of telling me it was going to be all right. I just wasn’t sure I could agree.